Indications are that this is "B" Company, sometime late in 1968 or early in 1969. Lower left of APC reads "B-24". 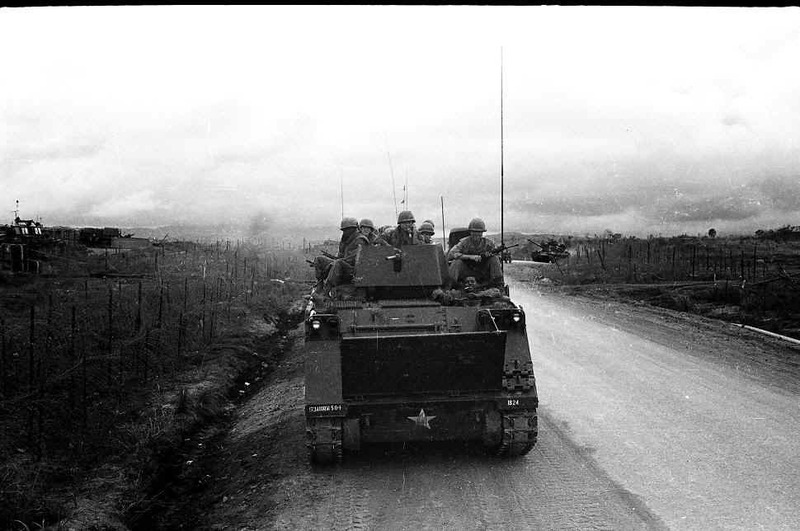 Also....click on the photo to see an enlarged version where you can clearly see one of the Tanks from the 1/69th Armor coming down the road. If you can identify the location... or identities of individuals pictured here, please contact Jim Sheppard, Website Committee.